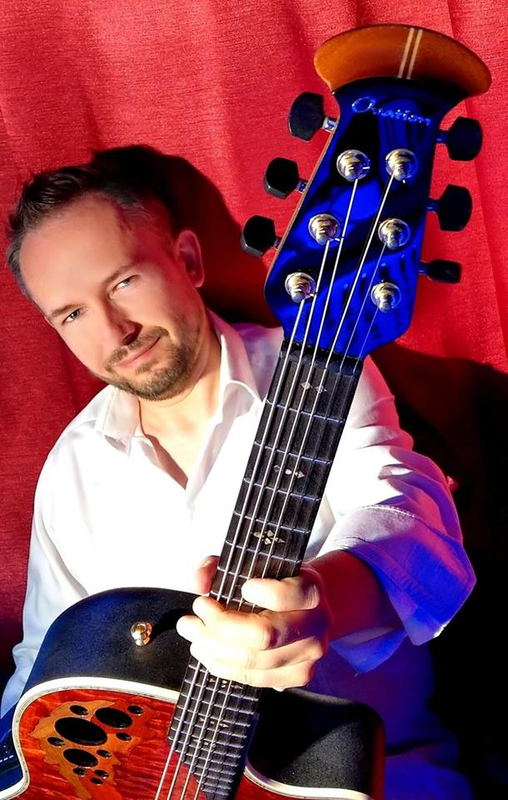 Krzysztof Błaś is the official user of the legendary Ovation guitars! Krzysztof Błaś joined the family of endorsers of the legendary Ovation guitars. Ovation is a legendary company whose instruments have become a permanent part of the history of music. Characteristic guitars with a rounded back could be seen and heard on many stages over decades, and the users were top guitarists but also pop stars. Krzysztof Błaś – guitarist, teacher and music producer joined the group of official users. Krzysztof chose for himself the C2078AXP-TGE model from the Exotic Woods Collection Elite series. Ovation C2078AXP-TGE is characterized by a top plate made of solid spruce AAA supplemented with a cover from the quilt “Tiger Eye”. The neck was made of 3 parts of mahogany and 2 maple. The fingerboard and bridge were made of ebony, and binding from the real Abalon was carried around the body. On board there is also an excellent OP-Pro Studio electronics system. The GEWA company is the distributor of the Ovation brand in Poland.